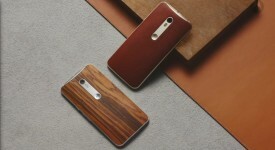 Moto X Style, Marshmallow arriverà in pochi giorni? Non dovrebbe mancare molto al rilascio dell’aggiornamento del sistema operativo Android Marshmallow per i possessori di un Moto X Style. E’ quanto emerge da una fonte interna al produttore americano. “There have been a couple reports of a Marshmallow “soak test” that has started for Moto X 2015 Pure Edition. Just want to make it clear that we have NOT started a formal “soak test”. We have started a small TestDrive for the Marshmallow upgrade on Moto X 2015 Pure Edition. We will be conducting these tests for the next couple of weeks. Pending the feedback during this test cycle will determine the timing of a full soak test”. Staremo a vedere quanto tempo sarà necessario per il rollout.